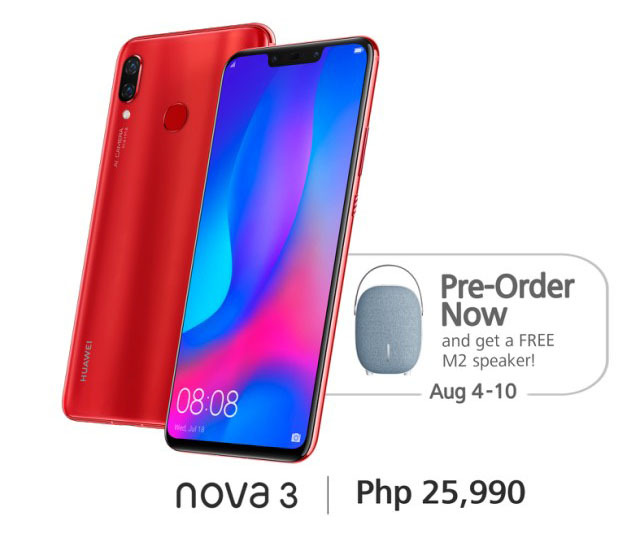 The new Huawei Nova 3 just launched in the country. Equipped with a 6.3-inch 2340 x 1080 IPS Display, the Php 25,990 phone becomes available in official stores on August 11. For interested users, pre-orders began August 4 and ends on August 10. Huawei’s newest phone comes with not just 16 and 24MP dual rear cameras, but also 24 and 2MP dual front cameras.Powered with a HiSilicon Kirin 970, the Nova 3 features Android 8.1 Oreo-built EMUI 8.2. It also comes with 6GB RAM, 128GB ROM, and a 3,750mAh battery.